“In a bid to be more eco friendly, I’ve slowly but surely incorporated more and more natural products in my home. I’ve switched to natural washing powder, kitchen cleaners, eco-friendly ‘black bags’ and our recycling game is stronger than ever. But the one place I’ve neglected to change is the personal care department. Why? Not because I don’t want to, but simply because I never knew where to start. Toothpaste and toothbrushes are a biggie because they’re filled with chemicals, are not recyclable, and we go through them at lightning speed. But switching to a natural toothpaste literally never occurred to me – until one landed on my desk. 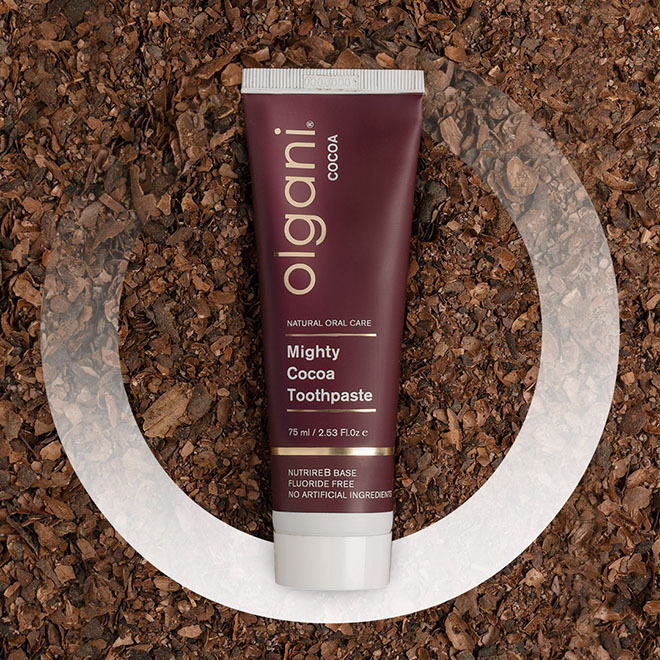 Enter the Olgani Mighty Cocoa Toothpaste – a proudly South African product that contains Theobromine, a water-insoluble alkaloid of the cacao plant, plus turmeric, activated charcoal and Himalayan salt. First things first – does it taste like chocolate? Yes and no. When you first put it in your mouth there is a cocoa flavour, similar to that of dark chocolate. But as soon as you start brushing the flavour changes and a strong saltiness takes over. 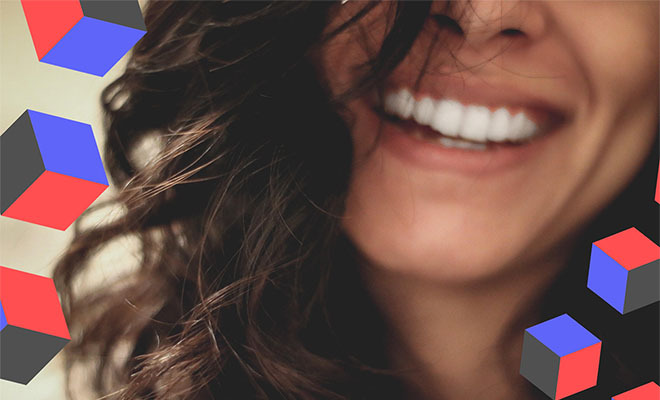 At this point you’ll probably get a fright when you look in the mirror – your teeth will be dark brown from the dark brown colour of the toothpaste! It can get quite messy, and I later saw that the packaging actually recommends using it in the shower, which is a brilliant solution. The after-taste is somewhat different as even though the product does not contain any mint, I had a minty flavour in my mouth. It’s not a strong flavour like that of my usual toothpaste, but my mouth felt fresh. I struggle with a bit of sensitivity and as a result have always used a popular toothpaste brand designed to minimise sensitivity. Before I started the week I was a bit concerned about this, but I’m happy to report that I had absolutely no increased sensitivity and that I could easily continue to sip on hot and cold drinks as I always did without any pain or discomfort. Olgani Mighty Cocoa Toothpaste is free from glycerine, fluoride and artificial ingredients, and as a result it’s safe to swallow, making it a great choice for the whole family (including children!). Olgani’s signature NutrireB blend of mineral-rich rice flour, Himalayan salt, sesame and coconut oil. Cocoa in this form has proven to be more effective than fluoride for treating dental hypersensitivity; it also helps harden tooth enamel, making teeth less susceptible to decay, has anti-bacterial properties that help fight plaque and its well-documented anti-inflammatory properties help prevent gum disease. So now the only question is, will you be trying it? Check out Olgani’s range of different flavours here. The Olgani range is available online from Faithful to Nature and Wellness Warehouse and at selected Dis-Chem, Clicks stores and health shops nationwide for the recommended price of R115.00. I would really love to try the cocoa flavor toothpaste and it’s made of natural ingredients and I have been trying other brands products made of natural ingredients and I’ve seen good results from natural ingredients and I believe these tooth will work wonders on my teens……it’s should be on my bathroom shelves soon.